Herndon, formerly Trevorton Junction, is a borough in Northumberland County, Pennsylvania, United States. 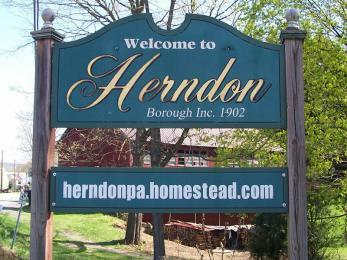 Herndon was first founded by Robert A. Parrish in 1840. The town was later named for Naval commander William Lewis Herndon, who died in 1857 while trying to rescue passengers from his sinking ship. The population was 383 at the 2000 census.